Pass IT On is an Edinburgh based charity, founded in 2002. 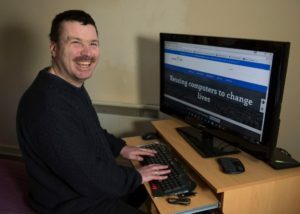 We provide free computer systems to people who are unable to access publicly available computers because of their disability or long-term health condition. We adapt and customise donated equipment to our clients’ individual needs and interests. 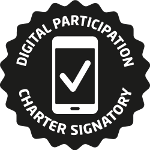 We believe passionately that the benefits of digital technology should be accessible to all members of society. 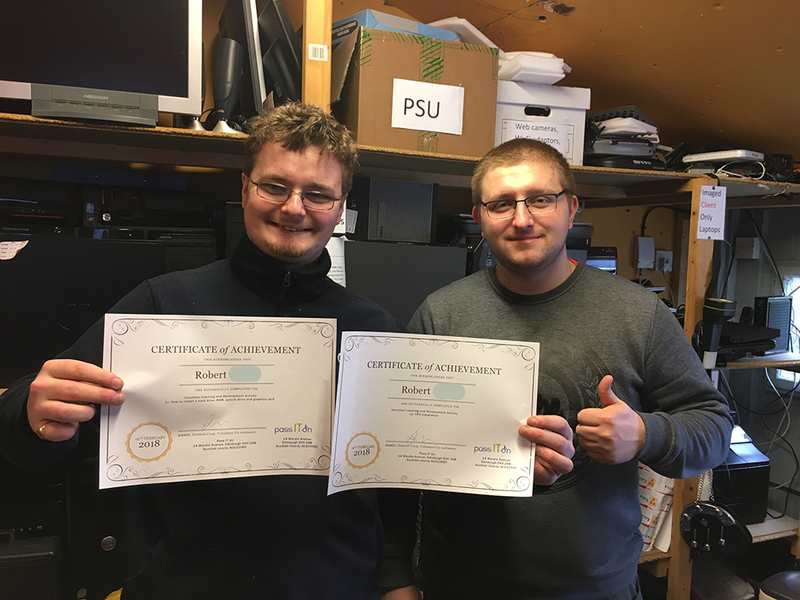 Pass IT On has received funding over the past three years from the Scottish Government as part of their Digital Participation Strategy. More recently, we have been awarded funding over the next three years from the Robertson Trust, the RS Macdonald Trust, the Corra Foundation, the Nancie Massey Charitable Trust and VAF. October 2018: We were delighted to welcome James Turing, Founder and CEO of The Turing Trust to Pass IT On last week, to talk about ways in which both charities might work together. 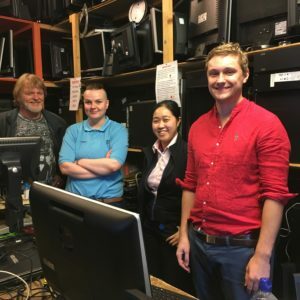 The Turing Trust works in a very similar way to Pass IT On, recycling old IT equipment to provide computers and computer labs for rural schools in Africa – particularly in Ghana and Malawi. Pioneering computer scientist and mathematician Alan Turing was James’ great uncle, and the Turing Trust forms part of his legacy. August 2018: We’re pleased to announce that we’ve received funding from the Volunteer Action Fund over the next three years to extend the role of volunteer co-ordinator Damian. Recently Damian has been working on recruiting some fantastic new volunteers and upgrading Pass IT On’s volunteer achievement awards. 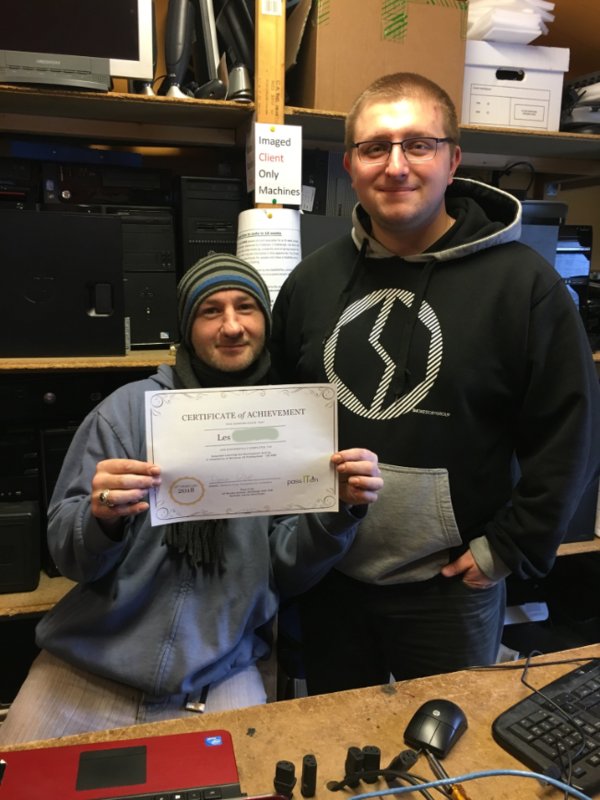 He’s put together a range of volunteer learning and development activities where volunteers receive a certificate after learning how to carry out particular tasks. Activities include things like how to build a computer, installing Linux, making network cables and configuring routers. All of the activities demonstrate solid transferable skills which volunteers can then add to their cv. Pictured below are regular volunteers Les and Robert receiving their first certificates.